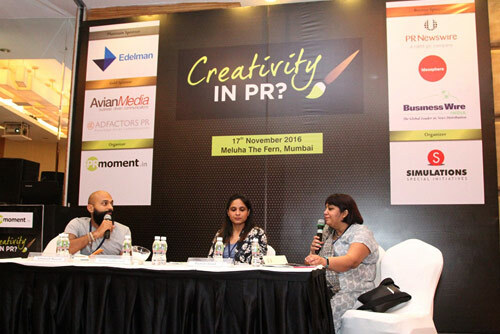 The role of agency and corporate communications professionals was flagged off as crucial in driving better creativity in PR at PRmoment India’s recently concluded, ‘Creativity in PR and marketing’ conference. 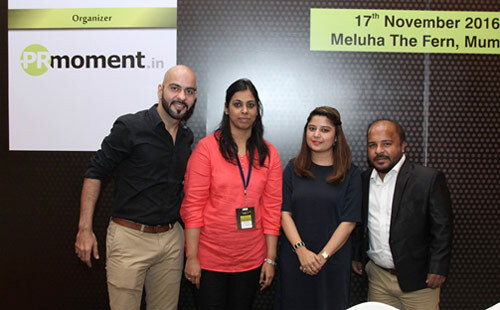 A break out session between PayPal India’s corporate communications head, Pooja Sabharwal and Edelman India’s director of creative and content, Ashutosh Munshi, put the focus on a partnership between the PR firm and the in-house corporate communications team to drive better creativity in PR. Girish Huria, head of communications, eBay India, speaking candidly said that PR agencies have great ideas and that in-house communicator must allow these ideas to flourish. Huria also highlighted the recent eBay India campaign with the #ThingsDon’tJudge that pushed the creative envelope by breaking LGTB, gender and age stereotypes. A special discussion on day to day creativity featured 30 under 30 winners from PRmoment India’s 2016 edition. Neha K Bisht, founder, Neha K Bisht Media Group said that "Just put your thinking hat on and get down to business." She also said that it’s pointless to worry about the PR vs. Advertising battle over who is more creative. Speaking bluntly, Afshaad Kelawala, branch head Mumbai and director, PR Pundit said that clients often don’t give credit to PR for creative ideas and may or may find PR creative. 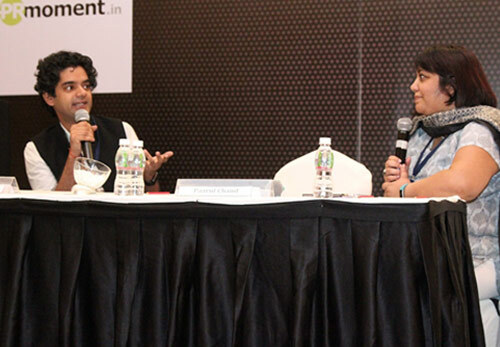 Namita Narula, senior account manager, Edelman India, said before you attempt creativity it is important to understanding the client’s business and then just get down to solving the creative problem. The discussion was moderated by Deepak Kapoor, founder of ‘The Commune’ a group for PR, advertising and marketing communication professional. From the under 30 views to the CEO’s opinion; creativity was discussed from all angles. The special CEO panel featuring Rakesh Thukral, managing director, Edelman India, Nitin Mantri, CEO, Avian Media and Roger Darashah, chief operating officer, Adfactors PR saw a heated discussion on fostering a creativity culture in a PR firm. Rakesh Thukral, said whether you are creative or not, creativity needs to be practiced from the bottom up in a PR firm to excel at it. Nitin Mantri, meanwhile, made a pitch for a chief creative officer like an ad agency. The role of data in creativity was hotly debated as were budgets. Roger Darashah, said that budgets should not be a constraint to creativity in PR. Darashah also warned against an excessive reliance on data for PR insights, citing the utter failure of data to predict Donald Trump’s win. A fascinating fireside chat between Ajay Dang, head of marketing, consumer products, Godrej Industries Limited and Sujit Patil, vice President - corporate communications, Godrej Industries Limited focused on the interplay between PR and marketing to arrive at meaningful and creative campaign. Patil gave the example of Godrej’s #DirtyLittleSecret campaign for dry shampoo as a campaign that marketing and PR worked jointly on. 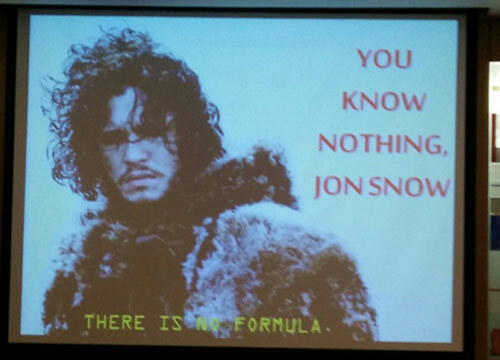 This campaign resulted in a 3 fold boost in sales. 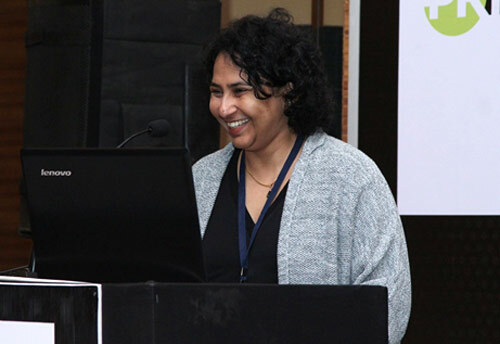 Attempting to define creativity in PR Minari Shah, director- public relations, Amazon India, said creativity is about problem solving and not pretty pictures. 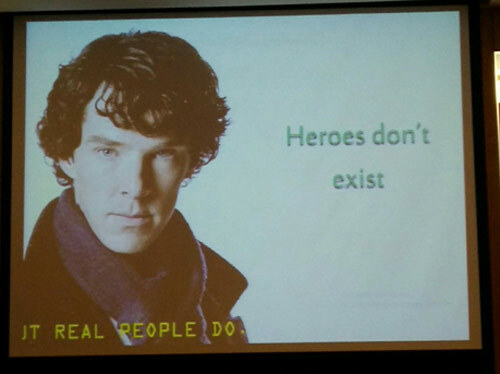 Several sessions were devoted to storytelling and media. Nikhil Taneja, head of development – YFilms (Yashraj Films), said that the answer to good storytelling is telling a story that has not been told before.